The reverse is likewise minimal in design, with just the web address (in the poor name.com format). The address is made slightly more acceptable as it appears Calvin Klein uses a variety of top level domains, but seemingly does not have one for dresses specifically. Again, the text is all in the lower portion of the tag. 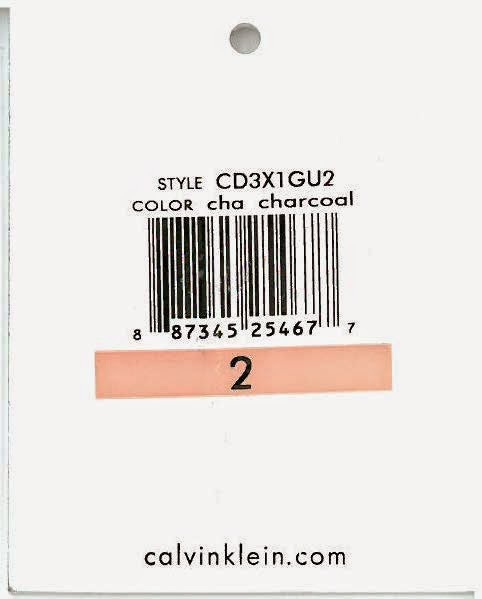 This leaves plenty of space for the retailer tag, here adding a splash of color with the size coding. Although not viewable here, this hang tag is made of heavy cardstock. 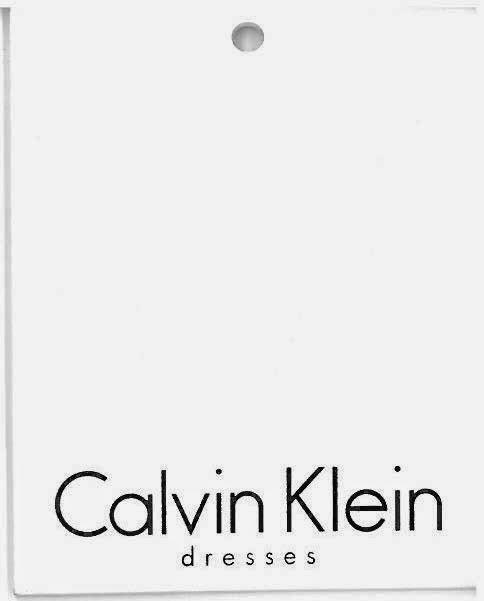 This is another strong entry from Calvin Klein. It is simple and clean, and expresses a very direct design and brand. On the other hand, the white with simple black text has been done elsewhere. I’m also a little unclear on the kerning issue. Overall this is a strong showing, another tasteful entry.